Brand NEW energy-efficient home ready NOW! 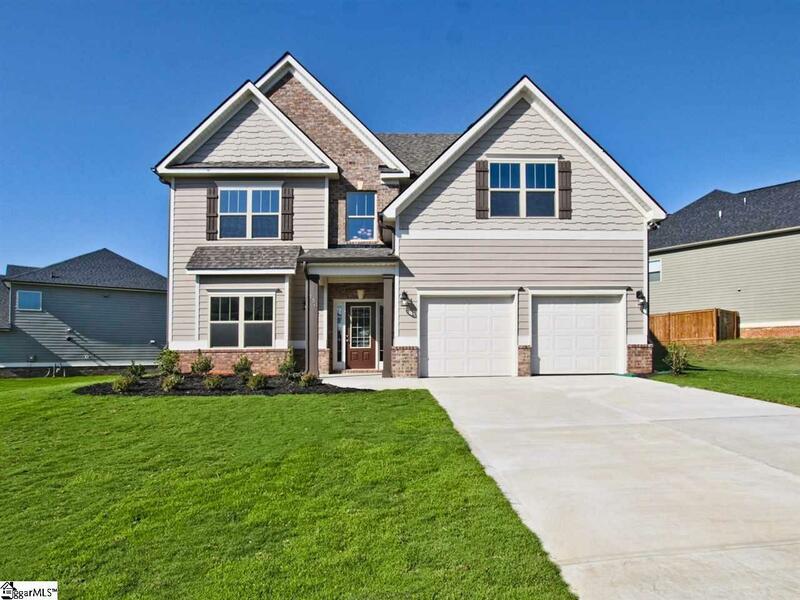 Avondale is a 2 story home which has 4 Bed 2 and half bath in Airy Springs which is a beautiful, gated, master planned community with pool, cabana, walking trails and lush green spaces and ponds. Across the street from Southern Oaks Golf Course, Airy Springs is ideally located 15 minutes from Greenville and 20 minutes from Clemson in the outstanding Wren schools, with the High School voted #1 in the state.The home features a spacious kitchen with granite countertops and SS appliances which opens to the family room with fireplace, oversized dining room with butlers pantry. The master suite includes his and hers closets, spa like bath and sitting room. Known for our energy saving features, our homes help you live a healthier and quieter lifestyle, while saving you thousands on utility bills. Like: Spray foam insulation in the attic for energy saving and better health Low E windows for 15% less heating/cooling costs ENERGY STAR appliances for lower energy costs CFL/LED lighting for about 75% less energy costs Fresh-air management system for clean, fresh air circulation 14 SEER HVAC helps save energy and money Conditioned attic helps seal out particulates, rodents and noise PEX plumbing is more resistant to freeze breakage Minimum Merv 8 filtration helps minimize indoor particulates CFL/Led energy efficient light bulbs.